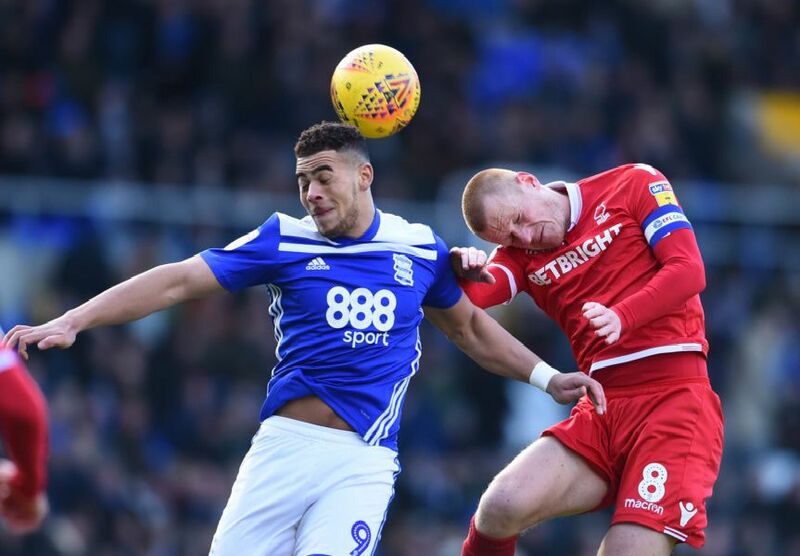 Nottingham Forest were beaten by early and late goals in a 2-0 Championship defeat at Birmingham City. Click on our gallery by Getty Images to relive some of the action. Lee Camp of Birmingham City celebrates after they score the first goal. Jota of Birmingham City and Ben Watson of Nottingham Fores. Michael Morrison of Birmingham City and Ben Osborn of Nottingham Forest.